Skiing and Bozeman are like peanut butter and jelly. In the early 70’s, serious skiers discovered Bridger Bowl’s steep chutes, light and dry powder, sunny days and laid back attitude. True mountaineers were drawn to the area, carving fresh tracks in unexplored territory. With this wave of skiers, came the need for ski shops. Not just ordinary ski shops, but serious ski shops. Which is exactly what happened. Today, a handful of these local ski shops are still thriving, and are known for their deep expertise and extensive product knowledge; and they are still full of passion for the outdoors. One of the longest running ski shops in Bozeman, Round House opened in 1970. Owner Larry Merkel, then an MSU student and Round House employee, helped open the business and within the first year Merkel bought in and eventually took over the store. He and his wife Rita are still active in the business while their children handle the day to day operations. Fun fact: Designed by Montana State University architecture students, the original building was actually round. Round House is known for their strong product knowledge, master boot fitting and fine ski tuning. A second location at Bridger Bowl focuses mainly on rentals, but you can also get a basic tune and key soft goods. In the summer, the focus shifts to biking and boating, but their business philosophy stays the same. 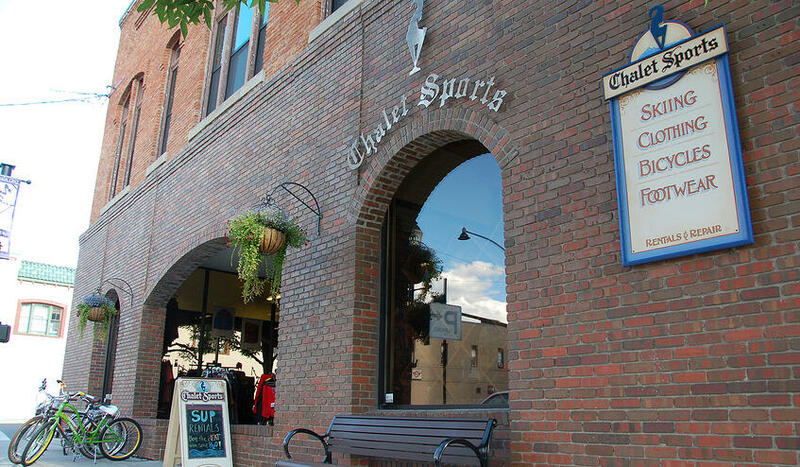 Chalet Sports is the quintessential ski shop. In 1952, Gus Gnehm, a Swiss gentleman, built an A-frame building, similar to the chalets in Switzerland. His focus was selling high quality, top-of-the-line-skis. Though the location and ownership has changed, the philosophy still remains. In 1977, Larry and Rita Merkel (same owners as Round House) bought the business and continued to build their clientele. Chalet Sports and Round House are now the longest running ski shops in Bozeman. Though the stores share the same owner, they are both operated by family members; Chalet being run by daughter, Jennifer Merkel, along with Tom Czech. Czech, though not family, very well could be given his duration of employment. The strategy is working. While local ski shops, (and even some ski hills) around the country have closed, Bozeman’s ski market is growing. Czech attributes part of this to the snow, part to the thriving downtown and part to the increased air service to Bozeman. In 1979, Chris Saboda started working at Bangtail Bikes and XC skis and a year later he bought the business, which is still going strong. Voted Bozeman’s Best Bike Shop in 2017, their Nordic equipment and rentals are the heart of their winter business. Amber Hoadley, Floor Manager, attributes their success to the employees, who have over 150 years of combined experience. 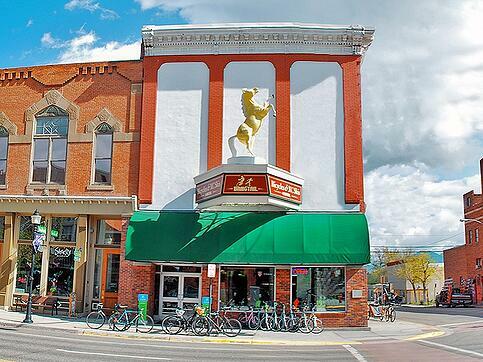 The shop is now located in downtown Bozeman, ironically housed in a historic building. Hoadley explains the roots of the name Bangtail. Traditionally, the word referred to a race horse whose tail had been “banged,” or cut short. It’s also the name of the Bangtail Range, a beautiful mountain range outside of town. The range was given the name based on the story of a pair of brothers who pastured their horses in the area. It’s said that one of the brothers banged the tails of his stock to tell them apart from his brothers horses. The irony of this story is when the business moved downtown, the building sported a revolving horse on the second floor exterior; one of a handful left in the United States. The iconic horse, “Jubilee,” has withstood someone trying to shoot it with an arrow, a college kid who tried to climb it, (causing it to fall off the building), and the changing city codes of downtown signage. Hence, you won’t be hard pressed to find this gem of a business, just look for Jubilee! 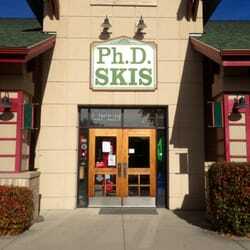 Long story short, you won’t find a bad ski shop in Bozeman. 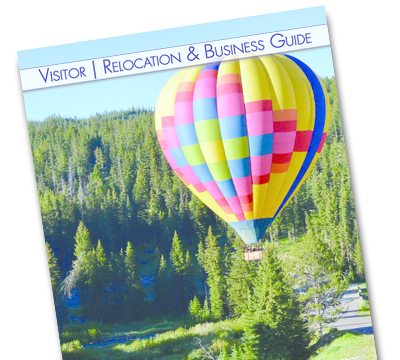 What you will find are unique personalities, a variety of brands and a passion for living and playing in this unique neck of Montana.